Temperatures have plummeted back into single figures. And it’s nearly May! So yes, I have felt the need to switch on the gas fire of an evening. And also to take a picture of it with my new camera! Nice fire. I feel warmer already. Cold (in the 40s) here too. Each day, I hope it will be better. Soon? We’re having an “Arctic freeze” from Iceland or something. It’s a bank holiday weekend here so obviously the weather is rubbish. I love a nice fire. Of course, this isn’t winter. 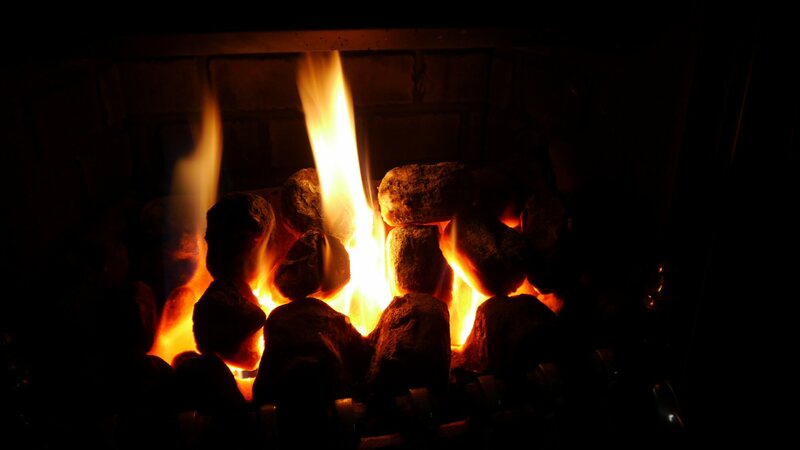 Very nice – though after last week’s nice weather I’d hoped to see the end of Winter fires! I want a point and click camera that still takes good photos. 90′ today, California will turn into a dust bowl. I’m really liking my new camera, though there is still so much about it I don’t understand. There are a lot of settings and buttons! I Googled how hot 90F is and I’m not sure I’ve ever experienced that temperature. Maybe when I lived in Germany but certainly never in the UK. I think California is in the middle of a drought at the moment, isn’t it? Yes a drought, 4th year. I predict water wars since water is sent to the south from the north. Stage 2 rationing up north but not in most of the south, will be problems. That’s a long drought, I didn’t realise it had been going on for that long. I hope you get some rain. We’ve got a cold wind and showers 😦 Just perfect for the upcoming bank holiday weekend. It’s a lot of fun fiddling with all the settings! The settings are what bother me?